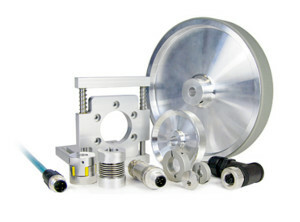 Many applications require a simple, cost effective solution for accurate positioning. IXARC incremental encoders provide high resolution measurement using an incremental interface. They are available with common configurations such as A, B, Z, and inverted signals available as HTL (Push-Pull) or TTL (RS422). IXARC absolute encoders always ensure reliable positioning; they never require a reference run which increases the safety and efficiency of construction machines, wind turbines or solar plants. Their compact size makes them ideal for applications ranging from Healthcare Equipment, Industrial Valves, Mobile Machines, Oil and Gas, Renewable Energy and Factory Automation. Details of the full POSITAL range of products can be found on the POSITAL page.